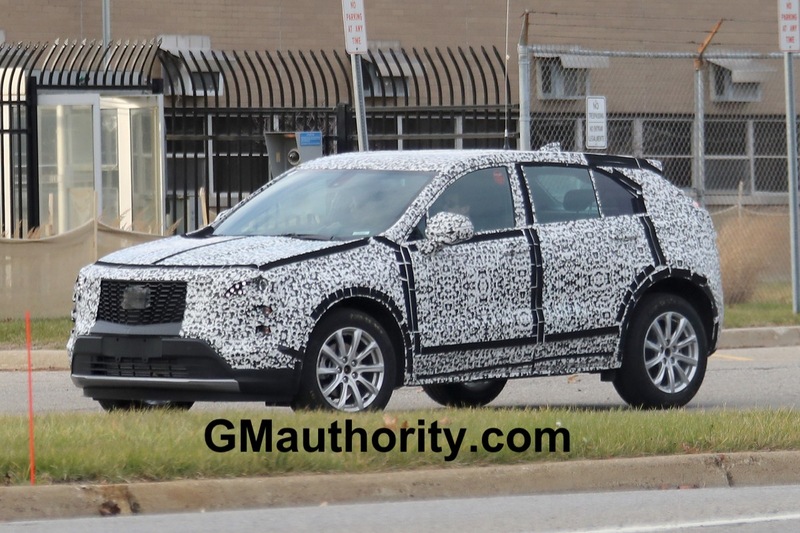 The latest round of Cadillac XT4 spy shots shows a Mercedes-Benz GLC-Class among the convoy of XT4 validation prototypes. But what the shots don’t show is a BMW X3, which was part of the mix, as confirmed by our spy photographer. 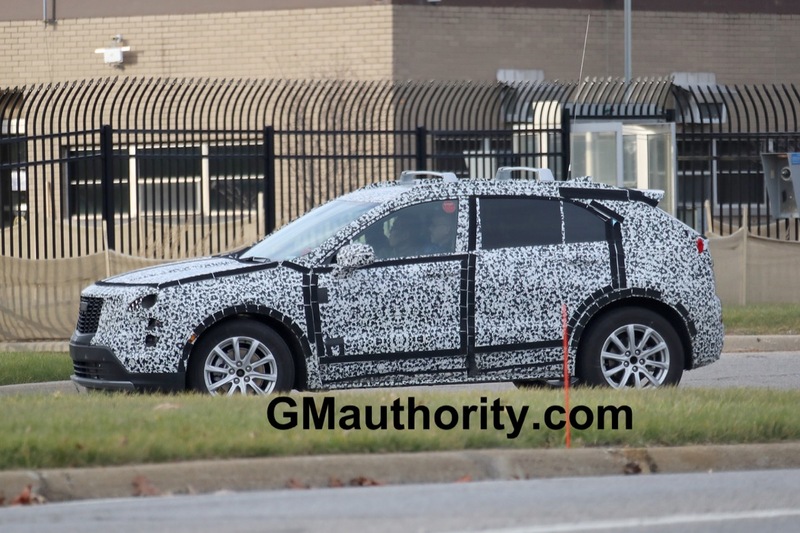 This means that Cadillac is testing the upcoming XT4 against the two segment-defining crossovers from Germany. Cadillac XT4 spy shots in early December 2017 show a Mercedes-Benz GLC-Class as part of the testing convoy. Though not pictured, a BMW X3 was also part of the group. That is to be expected, since the XT4 will compete against both of those models. 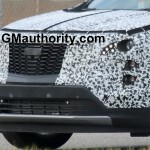 But what makes this development particularly interesting is that Cadillac’s approach to the segment will differ vastly from that of the two German rivals. While the compact crossover offerings from Mercedes-Benz and BMW are based on rear-drive-based platforms with longitudinally-mounted powertrains, the XT4 will ride on a front-drive-based architecture with a transversely-mounted powertrain. That platform is likely GM’s E2 platform that also underpins the new Buick Regal and Chevrolet Malibu (2016 model year and newer). When compared to the Mercedes-Benz and BMW, the Cadillac XT4‘s notable architectural differences will likely result in vast differences in the driving experience: while the two German models as well as the new Alfa Romeo Stelvio feel planted during any driving maneuver and eat up curves like nobody’s business thanks to a near-perfect 50 front / 50 rear weight distribution, vehicles with transverse powertrain/front-drive configurations are known for being notoriously nose-heavy (to the extent of 65 percent of the car’s weight being the in the front and the remaining 35 percent in the rear) due to most of the car’s weight being over the front axle, rather than between the front and rear axles. This translates to the car’s front end “pushing” in cornering, especially in spirited driving situations, resulting in a loss of tire contact much earlier in the cornering process, and the associated decrease in driver confidence. Ironically, Cadillac’s own ATS, CTS and CT6 sedans excel in the handling department thanks to their well-balanced longitudinal powertrain/rear-drive Alpha and Omega platforms that deliver that coveted 50/50 weight distro. 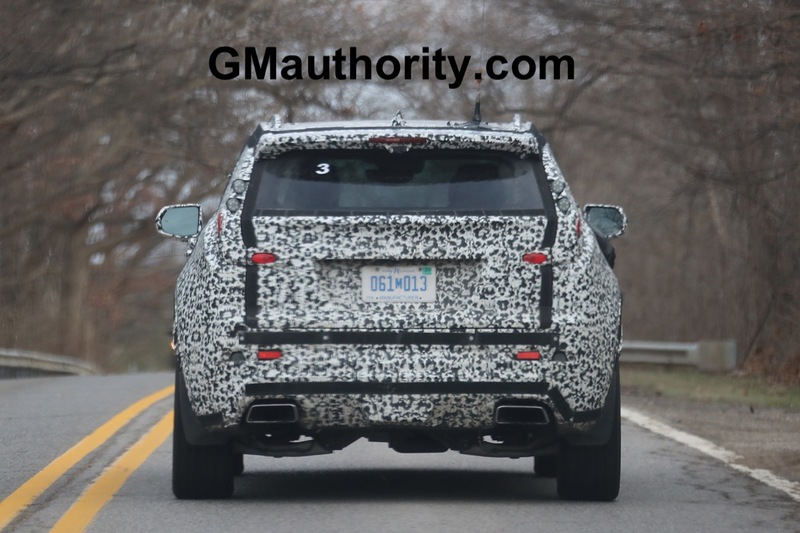 The same architectural shortcomings also apply to the midsize Cadillac XT5 crossover, which rides on the transverse powertrain/front-drive-based C1 platform shared with the second-gen GMC Acadia. But that flaw hasn’t stopped the XT5 from becoming the best-selling Cadillac, though being a new crossover in a market hungry for SUVs/CUVs certainly helps achieve that feat. On the other hand, it’s not like crossover buyers are taking their car to the track… but it sure is nice to know that you can take full advantage of a curved on-ramp or a spirited drive through the twisties while heading to the mountains, without feeling like your luxury family hauler will slip out of control if pushed (closer) to the limit. Too much “writer preference” in this article, IMO. Author claims better driving dynamics in RWD, but fails to acknowledge that FWD performs much better in snow and slippery conditions. Author further fails to note that most SUV/SUV drivers don’t care to drive in the fashion where RWD would make a difference. And further, calling FWD a “flaw” in the XT5 but acknowledging that it is the best selling Cadillac, shows that the author is out of touch with what the buying public actually wants. Yes I understand that most people who choose to become auto bloggers like to “push” their cars to the limit in RWD. But the reality is that 85% of drivers just want to get from here to there safely, without losing traction, and do not consider their cars to be recreational vehicles. If GM is a business, I feel that it should be noted that whichever vehicles generate the most sales and profits are the ones that the public actually wants, and should not be written as “flawed” simply because the writer has a different preference/use for that vehicle. Right on Drew, I mean if I were going to the mountains for a weekend vacation, like in past years, I would be more worried about traction and fuel mileage than “how the car will handle going up the twisties”. I think if the car is safe, efficient and comfortable, it will sell much better than if it had none of the other 3, but felt sporty. If you want a sports car, buy a CTS. On another note, isnt there ways in which automakers could get closer to a 50/50 weight distribution in FWD cars? i.e. aluminum front end, traditional steel rear, or moving smaller components to the rear like the battery or major (no engine) computers. Thanks Henry. As far as getting FWD closer to a 50/50 weight distribution, it probably could be done – but why bother? I’ve known plenty of people (including myself) who owned RWD cars who put heavy bags of sand in the trunk in winter conditions, in order to put MORE weight over the drive wheels. I’ve never known anyone to put bags of sand in the trunk of a FWD car in order to reduce the weight over the drive wheels. Only if you drive like a maniac, NASCAR-wannabe, or as Alex Luft calls it in a “spirited” way, would you desire the 50/50 weight distribution of RWD. I’m pretty sure that most Cadillac drivers don’t wish to drive like maniacs, even though Uwe tried to market Cadillac only to Millennials and not over-40 adults, and even though Johan is trying to make Cadillac the BMW of the USA. As we’ve seen with the sedans, the more sport/RWD Cadillac has gone, the fewer sales they’ve gotten (“wrong driveways” grumps Johan, like “sour grapes”). The reality is that it’s great that Cadillac is offering an alternative to the RWD CUVs of BMW and MB. I do not understand the mentality that Cadillac must do everything the Germans do, exactly as they do. Some people may prefer RWD CUVs, and for those 15% who do, there’s BMW and MB. For the 85% who prefer FWD, now they’ll have the choice of the Cadillac XT4. That’s a good thing for Cadillac. Also, FWD can be produced less expensively than RWD, which means that smart shoppers will choose Cadillac, OR Cadillac can make higher profit – good for GM either way. FWD also yields more legroom for the driver and passengers, another good thing especially in a smaller CUV like this. It’s a shame that the author chose to focus so much on his preference for RWD, rather than explaining the advantages of FWD. Cadillac is going FWD on the XT4, so why not describe what the product is, rather than what it is not? For plush FWD based CUV’s, GM has Buick and GMC. The point of having a luxury brand is to compete with other luxury brands and offering your customers who are moving up in the world a new and better experience. To build your own identity means to use platforms and engines that define your brand character. 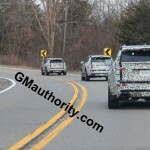 The Alpha and Omega along with the GM truck platform the Escalade is perched upon are, will, and should be Cadillac’s defining platforms. The Seville, El Dorado, and Sedan De Ville/DTS of the 90’s and 00’s are long gone and thankfully so. Those cars along with the Northstar did more to lose the “standard of the world” legacy than anything else. Why do you think Cadillac is still using the same drive-trains you can find in a Chevy. You need to move on from the past thinking that just good enough will work. That way of thinking brought old GM to its knees and what they are still trying to stand up from. Using your quote – “Also, FWD can be produced less expensively than RWD, which means that smart shoppers will choose Cadillac, OR Cadillac can make higher profit – good for GM either way.” This line completely shows your lack of market knowledge and what true luxury buyers are looking for. For Cadillac to start winning again, it needs to be more than GM’s Lincoln. Platforms should be trickling down from Cadillac as it did with Alpha not up from a Sonic. “Smart shoppers” in Cadillac’s segment have already left for other brands. Now this is my opinion and I believe quite a few others will agree, but a good reason why so many have left the Cadillac fold is they do not see value there. Quite frankly for the overall quality, the price you pay does not measure up with direct competitors. The difference in the showroom experience at a MB or Lexus dealership vs Cadillac sets the tone right away and is night and day difference in customer treatment and environment. Cadillac is barely different from your local Chevy dealer. If I’m going to spend 70 – 100k on a luxury car, I don’t want to look out the window to the lot or stand in a showroom being shared with a 25K Buick Encore. I also don’t want a salesperson who is not fully educated on the models they are trying to sell and trying to cater to customers of varying financial demographics. I want a comfortable environment and knowledgeable product focused people who know the same if not more than I do about what they are selling. Luxury buyers are not stupid. They know when a so called luxury vehicle is built on a FWD platform that also underpins a Malibu or Acadia. They know Cadillac is using the same turbo four, and V6, that is in almost every other GM Brand and model. People who are in the market for true luxury cars don’t want the vehicle to have any of the quality and engineering characteristics of a Malibu or Traverse. Cadillac will win back some of the luxury market when they make the commitment being on their own and setting the standard for GM. Wasn’t that what the move to New York was supposed to accomplish? Some autonomy? Might Cadillac make more money off a platform sharing badge engineered vehicle in the short term. Sure, but my money would bet as soon as Hyundai/Genesis is building SUV’s on the platform of their new (get this) RWD/AWD platforms for the same price as Cadillac’s glamorized FWD Acadia, the budget luxury buyers will go spend their money there as they have already started doing. Read what has been said of the Korean brands as of late. They’ve caught up and in some regards surpassed the Americans in quality and driving dynamics. When this happens Cadillac will be way behind trying to sell those just good enough models and scrambling to rush something new out there. Please read the responses from Alex to you again, as you missed his expert explanations on driving dynamics and how FWD yields little benefit over RWD. I’ve driven both types in all the bad stuff and somehow remarkably survived the inherent danger and have come away unscathed when in a rear driver. My preference is definitely to have AWD or 4WD in these instances and doesn’t matter if front or rear biased. You make it sound like every RWD vehicle goes careening off the road as soon as it touches the ice. I’m not saying the XT4 will be bad because of it’s platform and I’m not saying the XT5 is bad because of what it is. They are and will be good cars I’m sure. I’m just in agreement with the experts and others who think Cadillac is taking the easy way out and doing just enough to compete. The problem is they aren’t competing where they should be or want to be. Drew – you’re off, again. 1. No one is talking about a RWD crossover here. The matter at hand involves an AWD crossover based on a RWD architecture. It’s the best of both worlds in terms of traction and performance. Those who don’t need AWD can simply opt for a RWD model, if such models are even offered. Again, this is not about RWD or FWD or AWD… this is about an architecture that is built without compromises, like that befitting of a luxury product. 2. One doesn’t need sand bags to drive a RWD car in the winter. You’re stuck in the 70s or 80s. Today, all one needs is a good set of winter tires. Bridgestone Blizzacks or Michelin X-Ice do the trick. Welcome to the 21st century! 3. Having a rear-drive car does not mean one would want to drive like a “maniac”. It just means that your vehicle has the flexibility and dual-purpose nature to cruise calmly when you want to, or to tackle the twisties with poise and control when your heart so desires. Only vehicles with a properly-balanced (RWD-based) layout can do both… vehicles based on a nose-heavy FWD layout can cruise calmly, but they sure as heck can’t deliver on the spirited performance part of the equation. Again, spirited performance has nothing to do with racing or being a maniac. There’s no need to exaggerate. 4. I find your comparison to NASCAR comical for a few reasons, the most important being that it is the worst kind of racing: drivers typically go in a circle and only turn left. Their cars do not have anything related to a production vehicle, meaning there is no track to street transfer, and the cars typically don’t need the ability to handle (steer). You should find a better racing series to make your analogy. Here are some recommendations: ALMS, PWC, F1, IndyCar, TransAM… there are many others. These are all much better than NASCAR. Cadillac needs to provide an alternative to BMW and Mercedes-Benz… but one that is BETTER than those models – not one that is done half-a$$sed due to being rushed to market. It can’t be an average product that is “good” or “good enough”. It needs to be the best. That’s the only way the Cadillac will climb its way back to the top of the automotive food chain. The Cadillac alternative should beat the Germans at their own game. Again, the goal is not to emulate them… but to beat them. Yes, it is possible… and it has been done. Second, the other FWD-based alternative should come from Buick. Whether you like it or not, Cadillac is the sport-luxury offering while Buick is the pure luxury offering. Each delivers a different type of luxury experience for different kinds of buyers. That is a very sound strategy as it enables GM to compete on both ends of the luxury spectrum, an advantage that other automakers do not have. You mentioned in your opening comment that GM as an entity is in the business of making money. So, perhaps you should consider the advantages of a unique dual luxury brand strategy that GM has/can have, something that other automakers do not enjoy. Furthermore, “the Germans” are simply where the sport-luxury market exists currently. It is the consumer’s market expectation driven by most luxury car sales today both in the U.S. and globally. You can fight and argue all you want against this, but most luxury vehicles sold today are based on a rear-drive architecture. In any event, I’m discussing this with someone who has never even driven any of the vehicles we are talking about… yet intends to present himself as an authority on the subject matter. Again, you need to look at the all-encompassing business strategy that involves Buick and Cadillac. By pursuing a FWD crossover strategy for Cadillac, GM effectively excludes itself from the highly-lucrative, highly-profitable (in fact, the most profitable per unit) sport crossover segment(s). But GM isn’t doing so not because of some purposeful, strategic decision, but because it has no platforms to support rear-drive crossovers. Hence, it is relegated to using plebeian GM platforms for its crossovers. That’s a major disadvantage for a behemoth like The General. Not necessarily the case and not always true. It appears that you are not at all familiar with the fiscal scenario associated with the vehicles in question. Lucky for you, I have worked for the automaker in question and am familiar with the topic at hand. The facts: the German rear-drive-based crossovers from BMW and MBZ have more scale than any of their competitors due to sharing a large portion of their existence (parts, design, development, etc.) with passenger cars such as sedans/wagons WHILE also selling for much higher prices. This enables them to be significantly profitable, much more so than any FWD-based crossovers due to the pricing premium “real” RWD-based luxury vehicles command. Furthermore, your “smart shoppers” comment seems to imply a price-based purchase decision. In other words, people should buy the Cadillac models based on price since it is a “smart choice”. In that case, they should buy a Buick, as Cadillacs are for those who DESIRE a Cadillac… not because that’s the only thing they can afford. You’re really reaching here. FWD is more efficient in certain packaging scenarios. But in most cases, the room afforded by a rear-drive crossover is plenty. Specifically, whether you have x inches of rear-seat legroom or x+1 inches is not relevant when the overall space is plentiful to begin with. You seem to think that you are the only one who is allowed to have a different opinion. Ironically, when you present your opinion that differs from the rest, you label it is as “thinking outside the box”, groundbreaking, earth-shattering, and overall a positive development in the world. But when others (such as myself) present opinions (ones that, I might add, are significantly more developed than your own), you try your best to paint this opinion as “a shame” and something negative. Sorry, but you can’t have it both ways, Drew. As I asked in my other comment below, it would really help if you addressed my comment in the same way I have enumerated it. If you disagree with something, put the number with which you disagree and state your case. This makes it easier to keep track of the points being made. I have asked you to do this before, yet you haven’t obliged and instead chose to provide ramblings with no structure. 1. So now it’s about RWD based AWD vs. FWD based AWD? That is not mentioned in the above article. I have not seen automakers selling “RWD based AWD”. That seems to be something just in the heads of auto bloggers/writers. 2. Who wants to change tires twice per year? For something that only 15% care about? I don’t see it. 3/4. NASCAR is appropriate because it’s popular, and it’s aggressive weaving in and out of traffic. The SC in NASCAR means “Stock Car”. I would guess that the move to “performance” cars has led to aggressive driving/more accidents. If you have the money to buy a Cadillac, you want to live your life, not risk dying for the thrill of “spirited” driving. 5. It’s not clear at all that RWD is “better”. More expensive, yes. But if making cars more expensively is what it takes to sell to the luxury crowd, why not make the engines and body out of pure gold? 6. Buick should be the sports-luxury division, with their history of cars like the Grand National. Buick is not now, and has never been luxury coming close to Cadillac luxury. 7. Even wealthy people do not like to waste their money. Like it or not, there is a value equation at work, for the customer or for GM or both. If GM wants to offer FWD instead of RWD and pocket the difference, good for GM. If GM wants to apply the savings to upgrade the interior (a la the new XTS), then that’s great for sales and the customer. No need to pay more for something customers don’t want. I realize it’s hard for you to believe that customers don’t care about RWD, especially in their luxury CUVs, but the numbers bear this out. 8. Legroom does matter, especially in smaller vehicles like the XT4. 9. No I don’t think I’m the only one who is allowed to have an opinion – where are you getting this? You gave us your opinion about RWD vs. FWD, couched in the guise of a comparison of the XT4 to other CUVs (i.e. suggested by the title). I expressed a different opinion. It seems to me that you are the one uncomfortable with opinions contrary to your own. I say let all opinions bloom. HOWEVER, I decided to make an exception, since this is your website. It’s your ball, your field. It’s a nice website. I respect that. You mentioned that we should read the “about” section which supposedly details your experience at pre-bankruptcy GM. Frankly I don’t understand what “being responsible for the customer experience” means. But I do respect your creation of this website, so out of that respect I have used the numbers that you have requested. Well done, Alex. The problem is that the fwd cars look fugly. That’s the problem. Thanks God almost all the Caddys in future will be based on rwd platdorms. In most driving situations, it doesn’t really matter what wheels are driving the car. The only time it truly matters is when accelerating, and that’s when AWD shines. And like I already mentioned, a crossover based on a rear-drive platform equipped with AWD will handle this better than any other vehicle as it will turn neutrally in the snow, rather than plow nose-forward without control, a quality of a front-drive or front-drive-based AWD vehicle. Furthermore, consumers are switching to crossovers because they offer a healthy combination of utility, passenger carrying capacity and (in some cases) driving dynamics. 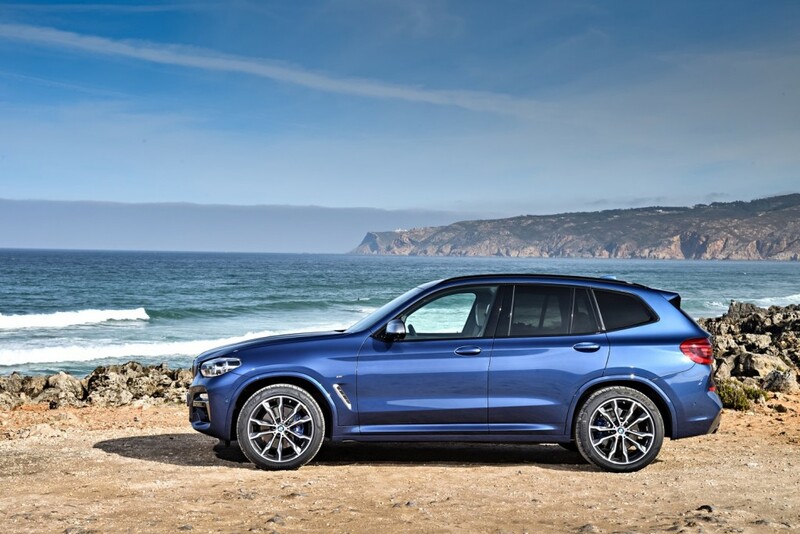 The BMW X3 and Mercedes-Benz GLC-Class deliver a perfect combination of these benefits: they are relaxing cruisers when you want them to be, but can also transform to be sports cars when you so desire. By comparison, a FWD-based crossover can only deliver on the former, not on the latter. This puts Cadillac at a clear disadvantage when it comes to CUVs, as they are single-personality vehicles – while the competition from Germany offers dual-personality models. To answer your question in a simplified fashion: as long as the heaviest component of the car (the engine) is positioned ahead of the front axle, adding or reducing weight elsewhere in the car will help much – due to the inertial elements of the engine and its position in the vehicle. There’s a good amount of physics involved here, but the benefits don’t pan out for what you propose. But even so, why mess around with adding or subtracting weight when you can simply put the car on a proper rear-drive-based architecture to begin with? Fair enough, but I think the author is observing this XT4 is unlikely to compete with the equivalent AMG or M editions of the competitive set Cadillac has lined up. Instead, the XT4 might be more of a luxury upgrade from a Honda CR-V, which incidentally is no slouch anymore. Actually, the CR-V has more usable space than both the BMW and MB and won MT COY — so maybe even that is too much to assume. Oh dear Drew, always trying to prove how professional automotive journalists have an agenda to make all cars RWD because they have some kind of agenda or scheme… and then aiming to lessen their understanding of the industry, market, or topic at hand. Allow me to educate you, as in times past, with a comment that doesn’t just blow hot air. 1. You claim FWD performs “much better in the snow and slippery conditions” (compared to RWD). … these cars are RWD-based AWD or FWD-based AWD. The weight distributions argument still applies, since you’re simply adding more weight with an AWD system. Add weight to a properly-balanced RWD vehicle and there is not much of a deterrent: you still get a very good driving experience. Add weight to an out-of-balance FWD-based vehicle and you still get an out-of-balance, nose-heavy pig. 2. Calling FWD in the XT5 a “flaw” is just that: it’s not really all that great, no matter how many units it sells. But do you know why the XT5 sells as many units as it does? To continue on the path of schooling you: it is because the XT5 is the least expensive and most affordable vehicle in its segment, a segment that is growing rapidly. 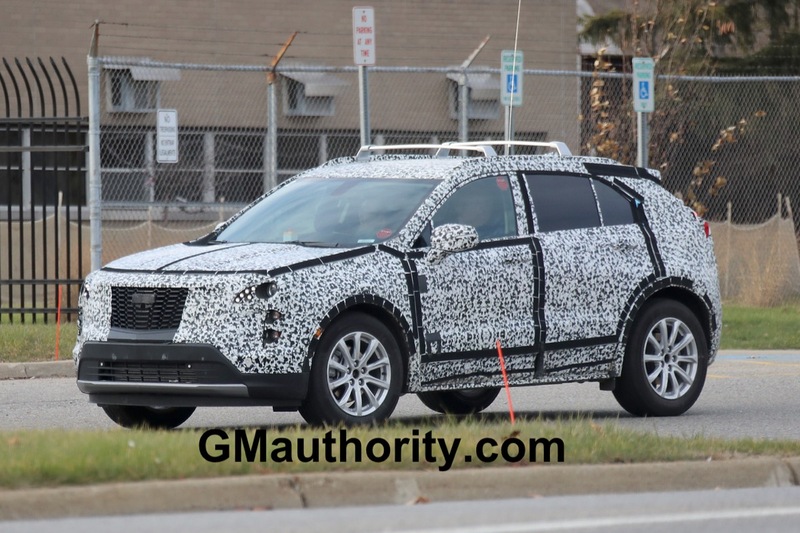 The more pertinent question about the XT5 and its relation to GM as a business is this: could it be MORE successful financially if it were done properly, and not a corner-cutting rush job? The answer is yes. It could be selling in higher volumes AND be generating more profit per unit if it were a true representation of a modern Cadillac, complete with a properly-balanced chassis, an XT5 V-Sport and XT5-V variants. 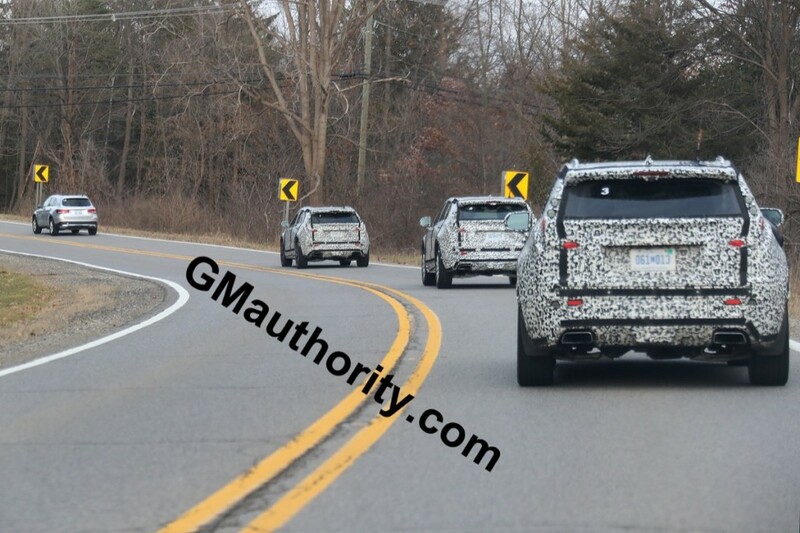 The way it stands today, the XT5 is simply a dressed-up GMC Acadia and (upcoming) Blazer. Not impressive for something that should be the Standard of the World. Wrong. The reality is that most people do not need any of the cars we are discussing. The reality is that most people WANT the cars we are discussing because they are, for one reason or another, desirable. It is a WANT purchase… not a NEED purchase. If people bought what they needed, we would all be driving Cavaliers and Corollas. I hope I don’t need to explain this concept further. So as a purveyor of goods (cars) that people should WANT to buy, Cadillac needs something that is substantially different and offers significantly more than the other offerings from Chevrolet, GMC or Buick. The XT5 does not go far enough… and I don’t think the XT4 will, either. Now, that is ok for the time being, as having a product in a space is better than having no product at all, and Cadillac will be able to pick up some sales here and there… but when it comes time to truly compete, Cadillac will be at a disadvantage compared to the Germans, which lead in all luxury segments in terms of every metric, including sales volume, profits, ATP, customer sat, mind share, desirability, etc.. In fact, Cadillac is imitating Lexus’ strategy of FWD-based crossovers for the sake of a lower price point, while delivering a half-baked, poorly-differentiated product. 4. Your attempt at painting “the author” (me) as “out of touch” is laughable, and I really do not understand why you feel like you need to do this nearly every time you make a comment. My education and experience speak for themselves. Feel free to visit the About page and read up. Meanwhile, you have not even driven any of the cars you speak of, and continue blindly believing that your decade-old (or more?) Cadillac DTS is the pinnacle of automotive engineering upon which all of Cadillac should be built around. That is the definition of “out of touch”… and perhaps a degree of insanity. And on that note, there is a vast difference between “auto bloggers” and professional automotive journalists, especially those who have worked in the industry in research, development, sales, and CX roles. It would serve you well to familiarize yourself with which is which, and which one you’re talking to in this particular thread. So, Drew: if you want to have a constructive conversation about this, please do so without making pointlessly-grandiose accusations about one’s understanding of the industry, as two can play at that game, but ultimately no one benefits from it. And do yourself a favor and address my comment in the same way I have enumerated it… which allows us to more easily keep track of the points being made. I have asked you to do this before, yet you haven’t obliged my request. Hope that won’t be the case this time around. I’ve been a GM fan all my life. Instead of waiting for Cadillac to build a proper SRX/XTS, I directed my wife to purchase her GLK amg. Problem solved. Yup. A prime example of people getting impatient… and jumping ship. Actually Alex, based on personal experience, I recognize that there is a difference between a RWD based AWD system, and a FWD based AWD system. I’ve witnessed a second gen. CTS a 3rd gen CTS and an ATS all get stuck in the snow or have a considerable amount of rear wheel slip before the front wheels kicked in. However, I’ve seen/ driven an XT5 and a Volvo S80 march through equal amounts of snow from the same storm. The Volvo did use all 4 wheels, but the XT5 was still in FWD mode. I don’t deny that RWD is better, I’ve driven a E63 AMG and its fantastic, when it comes to power. Although I personally would never want to own one because the ride was awful and the owner has since been back to the dealer for some pretty expensive repair/ maintenance bills. I think a car should be able to get out of its own way, but not everyone carves through the mountains at 80 MPH, and personally I would rather have a car that I could take across the country in comfort, over a car that can do 65 around a sharp curve. But….. like I have said countless times, I think Cadillac should offer both comfort and performance models, or the ability to order a comfort luxury or more sports oriented versions of their cars. There is no pleasing everyone, but you can make an attempt. Very well said Henry. There is definitely no pleasing everyone as you say, and consumers should have choices. Some people feel it’s essential that they carve twisting mountain roads at 80mph as you say, others will never have that desire and prefer other attributes in their vehicles. What is clearly NOT the case IMO is that RWD is always “better” for every type of driver (and every type of vehicle, sports car or otherwise) and that the only reason carmakers don’t make all vehicles this way is because they are cheap or lazy. And the sales numbers of the Lexus RX as well as the Cadillac CT5, certainly suggest that consumers aren’t running away from FWD in their luxury CUVs, even when there are available luxury RWD CUVs in the marketplace. Hit with competitor spammers. I traced this guy’s IP. Well, go on then. How did you trace their IP? 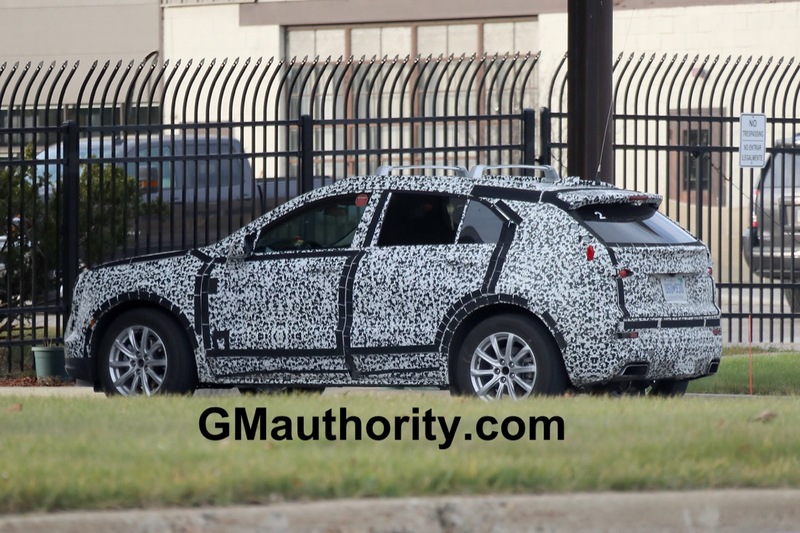 The Cadillac XT4 is going to be a great vehicle, bedt in class. See Alex’s comments below. 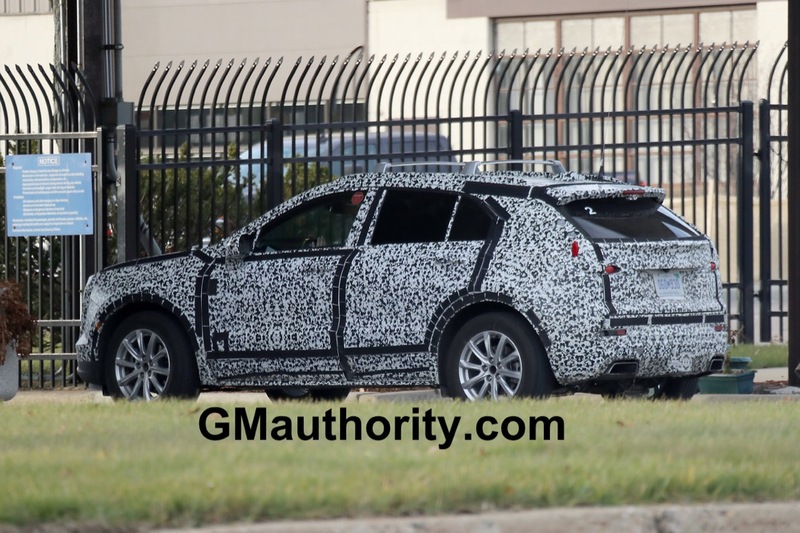 Cadillac taking it’s time bringing to market this XT4 is a good thing . It means that it won’t just be a re-badged Encore or Traxx which they would have done in the past . Engine choice will be crucial and the design and quality of the interior need to be on par with the BMW and MB models . 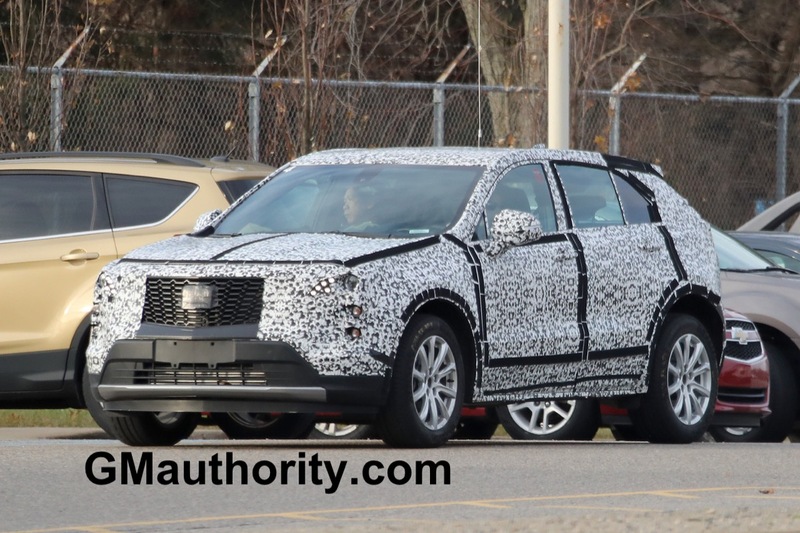 To have the XT4 exceed expectations and really compete is what will be needed to play in this segment if Cadillac is looking to be a leader in the pack as they are settiing their goal very high . Also I am beginning to think the front clip and headlamps will be Escala inspired because I read on Carscoops that the CT6 will get that treatment for 2019 and it only makes sense that this crossover should get it too . The driving dynamics should be firm but not harsh like the Germans , after all it is a Cadillac . 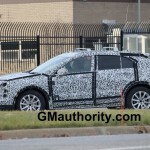 I don’t feel that Cadillac is taking its time on the XT4 whatsoever. It seems that the XT4 is a rush-job through and through… starting with its platform – which is really the only thing we know about it at this point. Have you driven a BMW X3 or Benz GLC? Their ride is by no means “harsh” … in fact, it’s what one should expect a modern Cadillac to ride like – a perfect balance between sport and luxury. 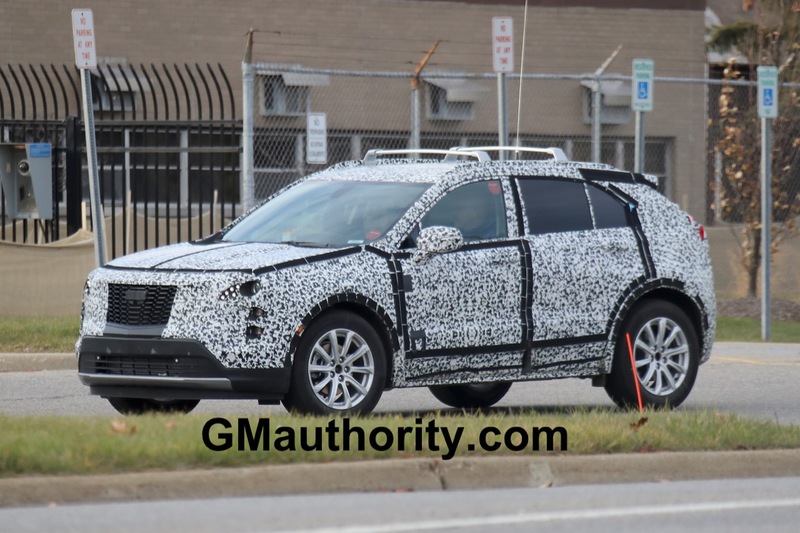 Not sure what will make the XT4 a stand-out vehicle in this crowded and highly-competitive segment. Not at all. The XC60 II (the new one) is all-new from the ground up. The Envision also accomplishes its task quite nicely. Neither one is a rush-job. 1. FWD-based crossovers ≠ rush job. 2. Crossovers that recycle a “nothing special” GM platform for the sake of decreasing time to market = rush job. So in that regard, Cadillac should have used its universally-praised platforms for its crossovers, including Alpha long (CTS) for the XT5 and Alpha short (ATS) for the XT4… the XT6/7 should use Omega (CT6). But none of this will happen because GM totally screwed the pooch in planning Cadillac’s crossover lineup… so now they’re stuck with rushing crossovers to market quickly, rather than being focused on making class-leading vehicles. To determine if something is a rush job or not, one should perhaps ask, “what is special about [insert your vehicle]? For instance, what is so special about the XT5? Why would I want to buy one over the Lexus RX? Why would I buy the XT5 over a BMW X3 or X5, outside of price? 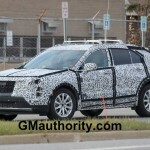 The same can be asked about the XT4: what truly makes these cars “Cadillacs”, aside from the badge? The word “nothing” comes to mind. That’s what I define as a rush job: mediocre, run-of-the-mill cars that don’t progress the Cadillac brand, its perception in the marketplace… though they do get some sales here and there, yet do not lead the segment in terms of volume nor profits. In that regard, what is the point? but that I kind of also applies for the Envision as well. Why would people buy the Envision over say a Acura RDX or Lexus NX as it is kind of overpriced when properly equipped? The reason XC60at this point gets the praise because the inside does feel special and feels bought something that’s well-spent. I mean don’t get me wrong, both the Buick and cadillacs at this point are nice. But I feel like they should have done more at both Buick’s and Cadillac department. As far as FWD vs RWD, I get the dynamics difference between those two as my parental settings used to have a first gen SRX V8 before they traded in for an Enclave. 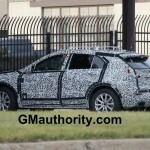 But at the same time, putting XT4 on the short wheel base alpha wouldn’t that suffer the size problem as the ATS? ATS itself is a pretty small car and no one over 6ft can fit in the back of that car and GM itself isn’t really well-known for the best vehicle packaging either. Like I mentioned earlier, I’ve been in an X5, a GLC, a 2012 E350, and an E63 AMG. I can truthfully say that the ride in the Beemer SUCKED! However, the 2012 E350 and the GLC did have an OK ride, once again, its not the softest thing in the world but its also not too bad. But It could also be the fact that the GLC was a base model with the small wheels, and the E350 was an older model, which have a softer ride in general. It’s Bimmer, not Beemer. Beemers are motorcycles. Is it me or am I the only one thinking that the first picture with the black wheels looks like a XT4-V or a V-Sport? 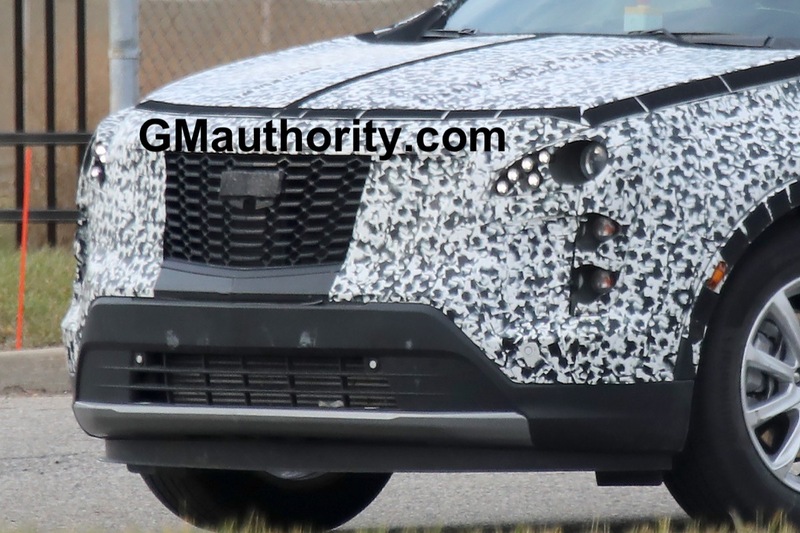 Hence it does have the horizontal grille And that was how the CTS-V prototype mule was as well. 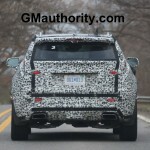 This is all good news.. if the Mercedes GLC and BMW X3 is what Cadillac is using as a benchmark then one has to expect a very good CUV; then again.. Cadillac has already proven it can build world class CUV with their XT5. The XT5 drives and handles fine. Definitely will handle a backroad with no problem. Will it chase down an X5M? No. Indeed, the XT5 drives just “fine”. But is just “fine” enough for what should be the Standard of the World? I don’t think so. What ever happened to “Daring Greatly”? Apparently those are just words, right? Heck, an XT5 won’t even chase down a regular X5… let alone the X5M. It would be interesting if Cadillac’s XT4 was a new EV that GM CEO Mary Barra said in her announcement of how there would be 23 new EVs by 2023. Alex, when you do the next sales chart for XT5 can you please include MB and BMW. When I looked back I found the sales from Sept and they were not included in that article. I’m guessing because they are rwd. This could shed light on the market. Thanks! I don’t like to include them in the XT5 sales figures since the X5 and GLE-Class are in a different segment, given that they are priced about $10,000-$15,000 higher (starting price) than the XT5 and its respective rivals (RX, MDX, MKX/Nautilus)… but I can include them in a separate chart/addendum. E2XX chassis is very new, it’s not some old off these wall chassis, and won’t be these same underneath for Cadillac crossover’s despite being FWD/AWD design and used else were. They are taking these time, I think some people will be quite surprise how well it/they brake and handle, we may see some V-sport models. XT4 with these black wheels maybe XT4-V sport model. This is all just very wishful thinking with very little facts. 1. The E2 platform (not a chassis, there is a big difference) is derived from the Epsilon II platform – which itself dates back to the 2000s. The biggest point of E2 is that it has had a lot of the “scar tissue” removed for the purposes of weight savings. It’s a good platform… but it’s a run-of-the-mill FWD-based platform. It’s nothing special or spectacular… and there’s not tricks being pulled out of any hats. 2. No matter how great a front-drive platform can be, there is still no escaping the mechanics of a nose-heavy moving object. The car won’t rotate on turn-in… but will slip (plow) nose-forward. Honestly, name one front-drive-based car has been praised for its impressive driving dynamics over a similar rear-drive-based model. Now name one front-drive crossover that has been praised for its driving dynamics over a rear-drive-based model. You simply can’t… like unicorns, they don’t exist. 4. 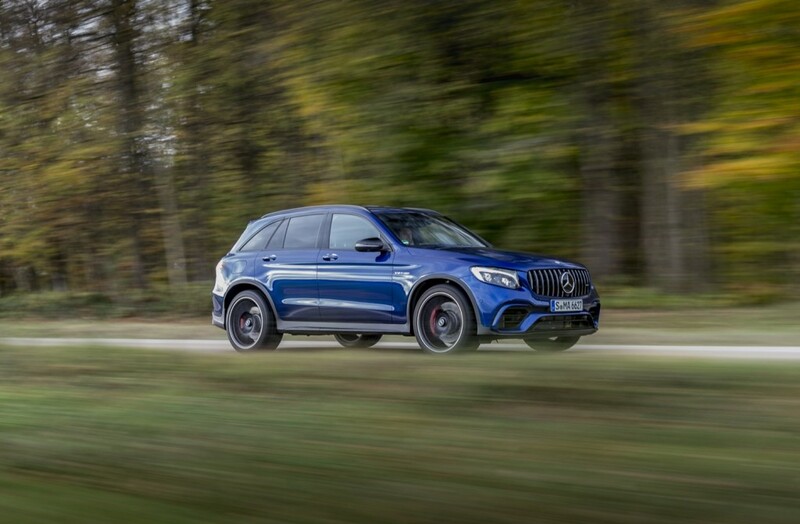 A front-drive platform can’t support an ultra high-performance model that would compete with a vehicle like the GLC43 AMG, GLC63 AMG, GMC 63AMG S, or the X3 M-Sport or X3M… so while there might be an XT4 V-Sport, it won’t be able to hold a candle to the GLC 43 AMG or the X3 M-Sport just based on its underpinnings…and that’s not saying anything about the full-out GLC 63 AMG or the X3M. We’re not talking about this segment here, which has a different set of expectations and pricing power. Make no mistake about it: no one praised the driving dynamics of the second-gen X1 on the FWD bones compared the first-gen (on the RWD bones). That said, the crossover B segment is ok with this kind of setup. Ok fair enough. One front-drive car out of hundreds of other models that excels at handling. Next question: would a car like the Civic Type R be better if it were on a rear-drive platform? I think the answer is quite clear. No, it’s not about putting any class of vehicle on a rear drive platform. The point, though, is that a front-drive sports car will still be inherently (at its core) compromised compared to a rear-drive sports car. So for the money that you will pay for a Civic Type R, you could get (say) a BMW 330i and it will probably make for a better sports car. But in the case of both the Regal sportback and the last gen Regal compare to the 3 series? I mean MotorTrend did say that the last gen Regal did handle just as well as the 320i? vic1212 – I did some digging and came up with some numbers for you. the driver must have had a huge smile on their face. I’m sure the driver had a huge smile on their face also. $133,[email protected] = 7:27.8X ÷ $34,[email protected] = 7:43.8X = $6,187.5 sec. It really amazes me how some folks are much like how Cadillac was for too many years. Just totally out of sync with the market. I tire so of people complaining about harsh rides and chasing the Germans. Some of these people need to go and drive these models and realize everything is not an AMG and most ride very well. Also Cadillac is chasing customers not the Germans. Cadillac needs some FEW/ AWD models for the smaller sizes and the folks who are brainwashed that you can not drive RWD in the snow. The truth is RWD has always gone fine if you know how to drive and today technology has even made it to where you just need a good set of all season tires to get around. RWD is so much more controllable with a limited slip dif vs fwd that if you slip the tires you lose traction and steering both this is why we really needed stability control. I so hope Cadillac can slot in a RWD AWD Model below the Escalade to give them a full range and spectrum of models. I know while Cadillac wil, still have to share some with GM I hope they can do enough to hide or improve these models over the GM brands. The XT4 is not taking forever. From clean sheet of paper to show room is 5-6 years and that is what we are hitting. Doing this while also addressing the other models is very difficult but they are getting it done. Cadillac really needs to carve out their place again as a luxury brand of quality and that means getting the details right. No short cuts and models that are compelling to get people drawn to the,m. For too long Cadillac has been too much corperate and not enough Cadillac. Alex, myself and others get it and see where this is going. They have done many things right but there are a few things that may not be what we had hoped. But until they hit the market we will not know what is going to happen. JDN at Audi needed to work with VW based product most of them FWD bases. But they have made the, a player. Again Cadillac does not have to be #1 globally here as volume alone is not the goal here as much as profits. Luxury divisions are profit centers and volume is second to return on investment. Most of the cars in this segment cost little more to develop and build but they in small volumes can bring 80% of non pick up profits. That is why Benz and BMW need them as they do not have two million pick ups going out the door every year. You have to look big picture here and not just the petty personal beefs. So by your thinking ( which is partly wrong ) if it takes 5-6 years from paper to an actual car then the XT4 isn’t really JDN’s first vehicle under his helm because he hasn’t been there that long . Maybe in the past it took that long but in all actuality you’re looking at a 3-5 year time line . And Cadillac wasn’t even looking at this segment until they seen the success of the Buick Encore and wanted a piece of that pie . 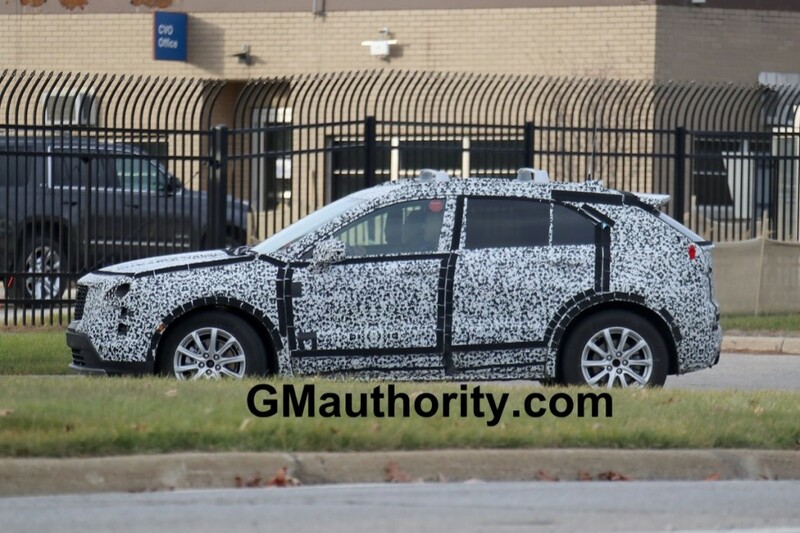 Also my point was that in the past GM was well known for badge-engineered cars which hurt the company big time , so compared to that , yes they are taking the correct time bringing this XT4 to fruition . 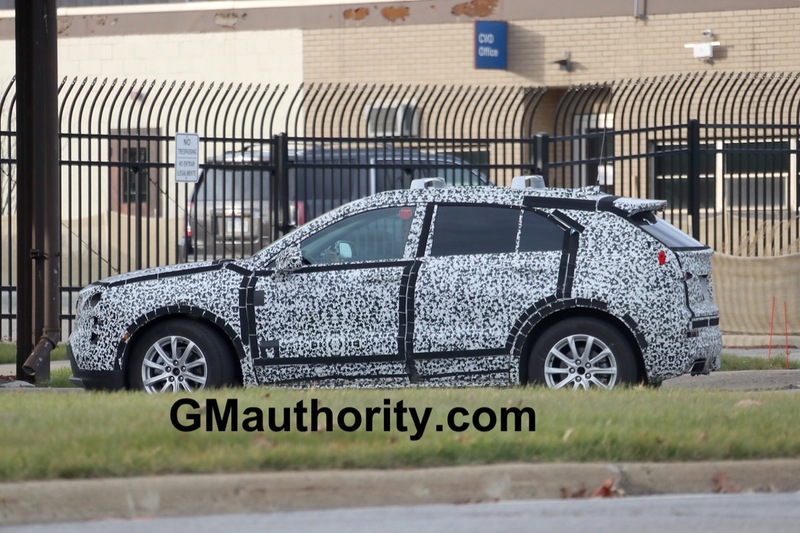 Plus if it comes out looking anything even close to a baby XT5 alot of people will be very disappointed . It does get tiring having to explain that the trend of ” harsh ” or stiffer suspensions on luxury vehicles is now trending to a more softer ride . I use the Germans only as to show the difference between how the driving dynamics are different compared to most American automobiles . You need to read up on this subject a bit more . I am sure most people don’t want to float like a boat driving on the twisties or going for a trip up north , that is so old school , but what customers do want is something that holds the road and is soft enough in the ride so when they get to their destination they feel fine and don’t clutch their lower back because the ride up north wasn’t comfortable . Why do you think that GM puts Magnetic Ride Controls in some of their cars or switches to change the driving dynamics from a sport mode to normal ? 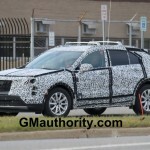 It’s amazing that now that some forum writers are hoping for a good out come for the XT4 and that it needs too be better than the rest in the segment the normal critics are now trying to down play this car as not to be overly exited but as a possible failure , like it won’t be good enough to match ( and I hesitate to use the word ) the BMW or MB . And no to be honest I have never driven a BMW but I am willing to bet I have driven more Benz’s than most people including our major critical journalist and his cheerleader . But I will never buy ne because I am GM all the way and am currently driving a Cadillac . How much time have you spent in GM’s luxury divisions cars ? I don’t need to slam anyone who disagrees with me at every post nor do I need to write a small book to get my point across . Peace . Zack the truth is it can and does take min 5 years to do an all new model particularly if you are to do it right at the same time you are doing all the other models just off set a year or two. Zack a minor refresh alone takes 2 years alone. You must also grasp that they have in this time put together a dedicated group of Cadillac only engineers and designers. No longer are they sharing staff. 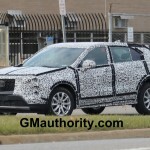 The XT4 was planned but JDN was here in time to address this vehicle and it will be 5 years by the time it arrives. As for suspensions we tire of your inaccurate explanations and how you Mid the mark of how the full range of global products are. The truth is not every car is harsh at least those I have been in have been very comfortable and confident. For what it is worth I have seat time in a wide range of al, German models as well as the best from Cadillac. Well, I stand in the middle of the road on the whole FWD vs. RWD debate! Engineers can do a lot with a FWD chassis nowadays! I could care less which wheels are being driven, as long as the “it” factor is there! After all, Cadillac is a luxury brand first and foremost! So the emphasis should be placed on delivering an overall superior vehicle experience. Much to the chagrin of some, this can, and should to a certain extent, include superior driving dynamics! Nevertheless, I’d rather see Cadillac up the ante on interior design, materials, and layout! Because the Germans still have them beat in this regard! If their CUV/SUV lineup has to be based on corporate GM platforms then so be it! As long as they demonstrate a commitment to delivering the best luxury experience they can, I don’t see why they’ll fail! I want to see Cadillac put their engineers to work with what they have to work with! Don’t just give us a nicer version of the corporate siblings! Go all out with the luxury and performance capability!!! What a great thread. I truly have nothing much to add. GM isn’t serious about Cadillac or competing with the Tier 1 luxury brands despite the haughty talk coming from JdN. 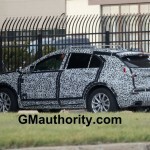 That’s apparent by their actions and this XT4 prototype. There is a very vocal minority here, still obviously enthralled with the X-car technology, who believe a nose-heavy FWD commodity car platform is a sufficient basis for a luxury car/CUV. The rest of the world, who have actually driven a modern RWD luxury sedan, understand the difference. As a life-long GM fan, it is truly disappointing to see Cadillac continue to make all the wrong moves and continue to believe their own PR spin. Until GM gets serious, I’ll continue to look to Bavaria to supply my automotive needs. I suspect there are many like me; folks that are quite thrilled with their low-traction, hard riding, cramped luxury cars. 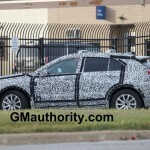 As much as I love RWD, GM with thier trucks Cadillac don’t need to be as comprehensive as the imports, (Asians/Euros would kill for 2 million trucks to be sold in the U.S.), fwd CUVs are what the buyers want so be it IMO as long as the car side is competitive, OTOH I would love to see one rwd,CUV platform used across GM. 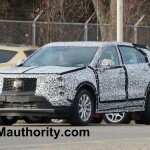 Hopefully will see V-Sport Models of the XT4 and XT5. In the higher end luxury they expect RWD bases in th3 lower end luxury they expect FWD. At this point Cadillac needs to address both as they need to compete with Lexus with FWD. but if they plan to grow beyond this lower end the will also need RWD based. HHRSS, great point regarding Lexus. The Lexus RX is the best selling CUV/SUV in the USA, and it’s FWD. The FWD Cadillac CT5 is roughly the same size as the RX (a few inches shorter, but a couple inches more wheelbase), and sells extremely well – I believe it is now the number 2 selling SUV in the USA. Lexus has been in many ways the successor to Cadillac of the 20th century. Cadillac once emphasized reliability, comfortable ride, refined/smooth engine and transmission, and luxury materials. That’s what Lexus emphasized as well. In terms of US luxury sales, Cadillac led from post WWII through 1998, then Lincoln held the title in 1999, then Lexus took the crown from 2000-2011. In the past few years. Mercedes Benz has edged out Lexus, but only by a hair – with 16.2% of the US luxury market vs. 16.0% for Lexus (as of last year). Given that even BMW is trending toward softer riding cars, I wonder how wise it would be for Cadillac to try to transition from a US luxury brand to a sports/luxury hybrid. As of now, the 3 best selling Cadillac vehicles are the XT5 CUV/SUV, the Escalade SUV, and the XTS sedan. None of those are “sports” vehicles. And I doubt the smaller and less expensive (vs the XT5) XT4 would need to be a “sports/luxury” vehicle either. Cadillac’s history with “sports/luxury” oriented cars is simply not good. They don’t sell well now, and never have. People who want the sports/luxury hybrid can go to BMW and others, and they don’t see (or apparently want) this from Cadillac. Cadillac was #1 with a luxury model, and Lexus is near #1 with essentially the old Cadillac model, minus the bold Cadillac styling – which should allow Cadillac to become #1 again, if they return to those core values. It’s true that professional auto writers are fixated on RWD, but the general public is clearly not sold on this. Nor should they be. “Luxury” to most people means low maintenance, i.e. reliability and not having to change tires twice/year (to snow tires in winter, from them in spring). People will spend a lot of money for luxury, but even rich people don’t like to waste money on something they don’t need, especially something that’s actually a negative for their personal driving habits. For those who do feel a need to drive hyper-competitively in their CUVs, I suppose they’ll enjoy their RWD vehicles. Does Cadillac really need to offer RWD in the market, or will they be happy with more Lexus RX level sales – I’m guessing it will be the latter. The new XT4 seems likely to outsell and out-profit the BMW and MB offerings, and that would be very sweet for a brand new entry like this. 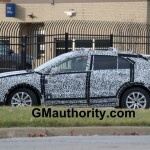 I can’t imagine them doing better with an RWD version, but we might actually find out over time – perhaps JDN will make the replacement for the XT4 a RWD vehicle, and if so then I’m guessing that US sales and profits of that vehicle will decline vs. XT4. Yet I’m also guessing that the professional auto writers will say it was the right move. You can’t change personal preferences, even when the market says otherwise. Autopal, I partially agree with you. If someone is facing very difficult winter weather, they should get snow tires regardless of RWD or FWD. But if they are doing around town commuting and drive with reasonable caution, they should be fine with FWD and good all-season tires such as Michelin. With RWD, they are taking a much bigger risk with just all-seasons. Further, I would guess that FWD will always outperform RWD in the snow, with equal tires on each. Where I live, winter tires with the metal studs are illegal at any time of the year. So there’s not a massive improvement in winter tires vs. all-seasons anyway. I have seen no need to change to winter tires on my FWD cars, but someone else might be in a different situation, different type of driving. I definitely had to put bags of sand in my RWD cars, and they still didn’t have nearly the traction of normal FWD. I will never buy RWD again, and there are a lot of other people who feel the same. No Drew, the only profitable fwd Caddy is dumping cash into is the CUVs, DTS type cars are DOA at GM, that’s a core value..
Guestt, you don’t think the FWD XTS is profitable for GM/Cadillac? Where are you getting this? GM doesn’t break out profits by car model or even by brand, so there’s no confirmation in the 10Ks one way or the other. But when you’ve got a car that presumably cost less to develop than the current CTS or ATS, sells for a higher per-unit price, and sells more units – you don’t think that’s profitable? If not, you must think the CTS and ATS are massively hemorrhaging money. There’s no way to easily know but if any Cadillac sedan is making a profit this year, it’s the FWD XTS rather than the RWD ATS CTS or CT6. The reason JDN is killing off the XTS is not due to lack of sales, but based on a crazy theory that if Cadillac offers ANY FWD cars, it somehow hurts the sales of all the RWD offerings. There are actually people who believe that if Cadillac can say “We are all RWD now” then sales will go through the roof. A corollary of that theory is that Cadillac is losing perhaps 10s of thousands of potential RWD sales every year, because so many people are saying “I refuse to buy an ATS, CTS, or CT6 as long as they offer the FWD XTS”. Which IMO is an especially silly theory when you realize that Mercedes Benz sells a lot of inexpensive vans and yet this does not see to impact sales of their other vehicles. Or that BMW sells a rather goofy looking (Smart Car like) electric i3, yet their other cars (and motorcycles) seem to sell well despite the presence of this potentially brand-wrecking vehicle. Or that brands like Audi and Volvo seem to do quite well with FWD sedans. But RWD-only proponents want to put the theory to the test, and while they expect RWD sedan sales to go through the roof once the last FWD vehicle has been killed off, they will stick to the game plan for at least 10-15 years (unless GM kicks them out sooner). Because they claim “It takes time to build a brand”, even though Cadillac already has a great brand name, many decades of dominance as the #1 selling luxury brand in the US, mentioned positively in numerous songs, etc. Even “the Cadillac of X” is a term meaning great quality and top-of-the-line luxury. But you’d think JDN was starting the brand from scratch. And he doesn’t like FWD. So that’s why the XTS is on the way out, not because it isn’t profitable. My story. GM lifer. Drove Chevy, Olds. In 2004 bought a Cadillac CTS 3.6, WOW, best car I have ever owned 140,000 miles trouble free. (still have in storage). But rear wheel drive in South Dakota winters. So bought 2005 Cadillac SRX, Northstar, RWD/AWD, Blizzak tires, stabilitrak, WOW. Not great mileage but drove great, 128,000+ miles just transfer case chain at 78,000 mi. Wife drove CTS in summer and SRX in winter. So we replaced both, but 2014 CTS bigger so went with ATS performance RWD/AWD. Great driving car all year around. But SRX FWD/AWD no. Ended up with a 2015 GMC Canyon RWD/Auto AWD, 3.6, So So. Drives good but definitely not luxury or performance. The torque to transmission on this Canyon is TERRIABLE. Maybe a 2018 GMC Terrain Denali, right size but FWD/AWD, and only 2.0L (good in ATS but Terrain is bigger). Drove a BMW X5, WOW. So? Lots of plusses, but lots of issues. Mainly electronics. So, they’re good while under warranty – not sure how close your nearest service center is in SoDak, but ours was fun, but a bit of a headache. Sorry to hear abt your GMs. What year X5? What do you drive now? Is there nothing like my older Cadillacs that will make it to 100,000+ without having to go to dealer. I could care less about warranty I don’t want to be lied to any more and want a company to stand behind there product period. If there is a flaw and you know it fix it type stuff. Car & Driver, ironically, put out an interesting article related to this thread. They point out how the construction of FWD cars hold certain key advantages over RWD cars, mainly in terms of interior volume, less mechanical parts which leads to lighter weight, and slightly better fuel efficiency. All of which are true! However, some may question whether or not these truly are key advantages in relation to the appeals of RWD cars….. The C&D article does point out practical benefits of FWD… but these are benefits on paper. Then you drive a FWD car and a RWD car back-to-back, and all those on-paper benefits fly right out the window when the driver has a huge smile on their face. And at some point, I do have to wonder if actual customers would even notice the space/packaging advantages of a FWD vehicle. I’m guessing that if they’re not told about it or if it’s not specifically pointed out, they won’t notice. Either way, this isn’t an “either or” situation. The beauty is that GM has two luxury brands in Buick and Cadillac. Buick should be all about plush luxury and FWD/FWD-based models… while Cadillac should be sport luxury with RWD/RWD-based models. They cover the entire spectrum of the market that way. Drew your post is a nice one,but my question if we are going to mountain on some day for vacation purpose were going to the mountains for a weekend vacation.Then this vehicle creates more worry about traction and fuel mileage than “how the car will handle going up the twist on that type of road.I think if the car is safe,efficient and comfortable,it will sell much better than if it had none of the other 3,but felt sporty.If you want a sports car, buy a CTS model. Drew your post is a nice one,but my question if we are going to mountain on some day for vacation purpose .Then this vehicle creates more worry about traction and fuel mileage than “how the car will handle going up the twist on that type of road.I think if the car is safe,efficient and comfortable,it will sell much better than if it had none of the other 3,but felt sporty.If you want a sports car, buy a CTS model.